The Holland international, who made his Albion debut in Tuesday's Carabao Cup defeat to Bournemouth, has signed a one-year contract with Chris Hughton's Premier League side. 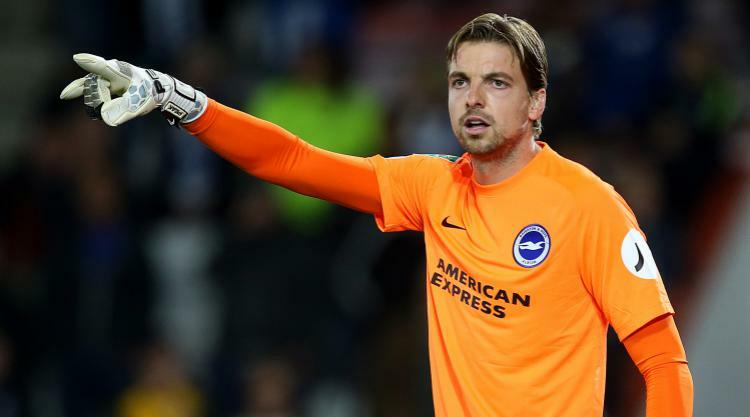 The deal brings to an end Krul's 12-year association with Newcastle and means he is now eligible to face his former club when the two sides meet at the Amex Stadium on Sunday. "Everyone at Newcastle United would like to thank Tim for his long service to the club and wish him and his family well for the future," read a statement on Newcastle's website. The 29-year-old joined Newcastle from Dutch club ADO Den Haag in 2005. He went on to make 184 appearances for the Magpies and also had loan spells with Falkirk, Carlisle, Ajax and AZ Alkmaar.